Giving money away hardly seems like a key to financial success, yet it is! 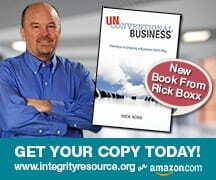 In my book, “Unconventional Business,” generosity is my Fifth Key to success. R. G. LeTourneau pioneered and patented hundreds of earthmoving equipment ideas. After some spiritual turning points, RG realized that God owned everything, not just 10% of earnings. Eventually, RG gave away 90% of his income and lived modestly on just 10%. He claimed that he kept shoveling out money as fast as he could, but God had a bigger shovel and kept blessing him with more. If you want to be a businessperson blessed by God, begin by blessing others from the profits God sends.